I tend to post a lot of lemon recipes but not only is lemon one of my favorite flavors, but my parents also have an enormous lemon tree that produces hundreds (maybe more) of lemons each year. When I'm over, it's super convenient to run out to the tree and grab a handful of fruit, to make homemade lemonade, lemon curd, lemon poppyseed muffins, garlic rosemary lemon chicken, etc. Lemon cake of course is delicious and the simple addition of lemon zest to the frosting and the cake makes all the difference. We started calling these "lemon velvet" when we had to come up with a new red velvet replacement after my tall man couldn't eat chocolate any more. I still enjoy red velvet but we make this crowd-pleaser more often. It doesn't stain like the red velvet but is based off the same easy recipe. Instead of starting with a German chocolate cake, I used a lemon mix and add the zest of two lemons (in addition to the vanilla, sour cream, and extra eggs to doctor the mix). Then for the light cream cheese frosting, I replace the milk with fresh squeezed lemon juice and add the zest of another lemon. Now is the perfect time of year to make these, but even when I don't have fresh lemons on the tree, I reach for my stock of zest and juice in the freezer that I've built up during the winter. It's not a lot of work but has a huge impact on flavor. I've had a lot of people ask me about the meringue powder I put in my cupcake frosting. I buy the Wilton brand- you can get it at Walmart, Michaels, or Hobby Lobby (or at Amazon of course). I usually buy the big can at Michael's with a 40% off coupon for the best price. It lasts forever and just a tablespoon mixed into the frosting with the powdered sugar will help "set" your icing so it holds its shape after you frost the cupcakes. The end result is a lot better and there's no taste difference. Try it and let me know what you think. In a mixer with the whisk attachment, combine the cream cheese and butter until light and fluffy. Add in the lemon juice, vanilla, zest, and salt, and blend. lemon velvet? fabulous idea! these look delicious! Nice tip about the meringue powder. These look wonderful. I made red velvet cupcakes for the first time yesterday and they were delicious, but it blew me away to realize how much red food coloring it takes...ewwww. 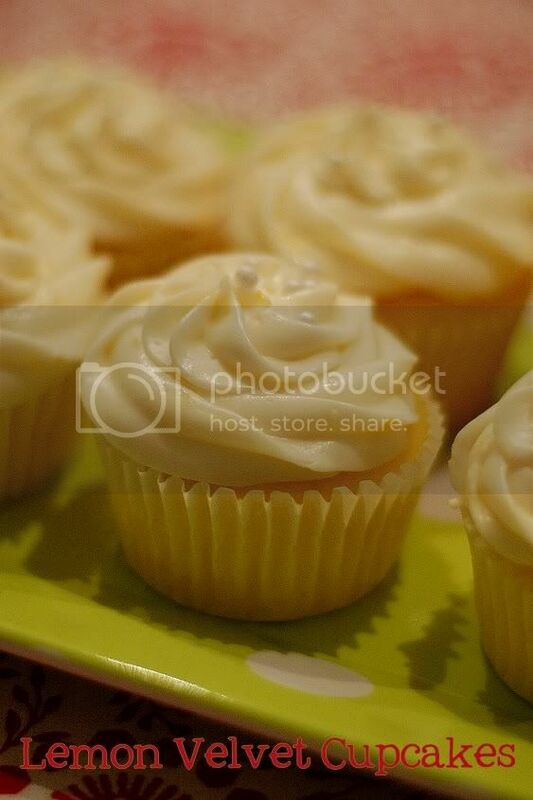 What a fun idea to make lemon velvet cupcakes! They're gorgeous! I like your meringue powder tip, too. Yum! We miss those readily available lemons in AZ. Great looking cupcakes! 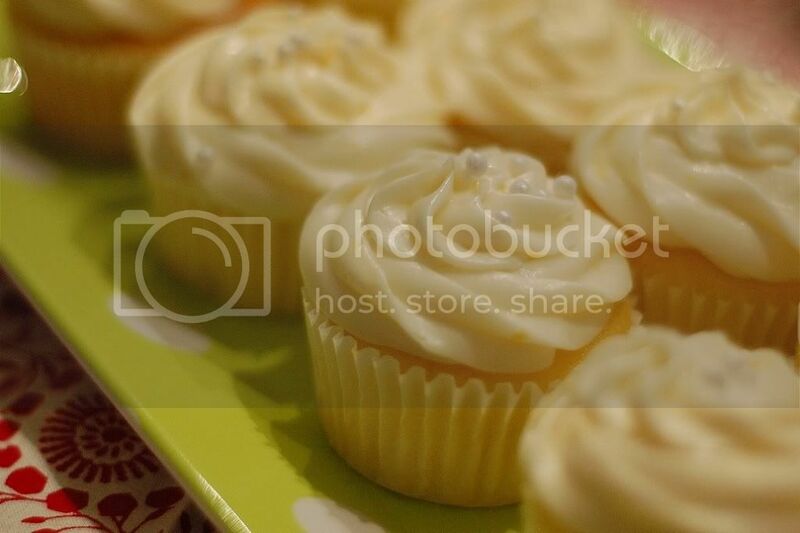 Delicious photos! I mean the cupcake. It really stand for its name lemon velvet, moist and lemon-licious aroma. Tasty. These are some beautiful cupcakes! Lemon velvet? Fabulous idea!! They look delicious. Lovely cupcakes! Lemon is one of my favorites, too. Swooning! I am swooning over here! Oh my gosh, how magically delicious! My sister's favorite flavor is lemon, and her birthday is coming up. I'd love to make these but I have a quick question. Is the package of cream cheese the 3 oz. or the 8 oz.? Diane- I'm sorry that your comment got stuck in my spam filter! I always use the 8 ounce brick of cream cheese and will go back and add a note to the recipe, thank you! Could I use more meringue powder and less sugar? The taste of the cream cheese is almost lost with such a large powdered sugar to cream cheese ratio. I've never seen a recipe with so much sugar. I like my cupcakes frosted sky high and this recipe reflects that, making a full kitchenaid bowl's worth of frosting. You could half the amount of powdered sugar for a more traditional cream cheese icing. I like to make mine this way since my husband prefers his frosting without cream cheese at all and I don't like the over the moon sugar taste of frosting without any- so this is a happy medium- a lighter cream cheese taste that's subtle and delicious. Hope that helps! Hi! If you are going to not serve these until the next day, do they need to be refrigerated?